rehabilitation, he continued to play contact sports and realized he wanted to pursue a career in the healthcare field. 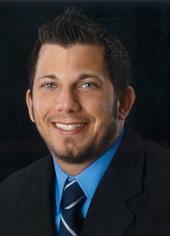 Dr. Dale attended the University of Pittsburgh and graduated with a Bachelor of Science degree in Exercise Physiology. Aside from school, Dr. Dale played baseball and was a proud member of the Pi Kappa Alpha International Fraternity. After college, Dr. Dale attended the Nation’s top Chiropractic school, Life University in Marietta, GA. As a member of the Full Spine, SOT, Thompson and Chiropractic Bio-Physics clubs, he studied many different techniques that helped develop his skills. After graduating from Life University and successfully completing all four parts of the Chiropractic National Boards, he received his license to practice in the state of Georgia. Dr. Dale specializes in motor vehicle accidents and sports related injuries. Dr. Dale continues to play and manage the Atlanta Giants Semi-Pro baseball team. Magi has been an essential part of the APS family since the beginning. As Dr. Dale's assistant, she's involved in every aspect of the clinic. She assists in patient management, daily operations and strategical marketing. Magi holds a degree in Psychology from Chattahoochee Technical College. Liliana began her career at APS as a patient. After her completion of treatment, Dr. Dale offered her a job and the rest is history. Along with being bi-lingual, she assists both Dr. Dale and Magi in patient management, daily operations and clerical duties. 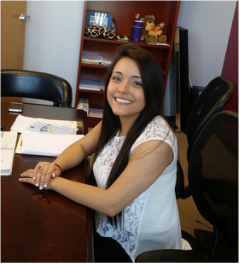 Liliana is currently working on her Bachelor of Science degree at Kennesaw State University.